Come by on Sunday October 21 to try our mouth-watering brunch menu, hear some amazing live music from Ihtimanska, and catch up with your friends and family! Brunch will be held in three seatings, from 10:00-11:30 AM, 11:30 AM-1:00 PM, and 1:00-2:30 PM. For reservations, please call 514-840-9300 or email fletchers@imjm.ca. We will have a very limited number of drop-in seats. Music will be held in three sets, from 11:00-11:30 AM, 12:00-12:30 PM, and 1:00-1:30 PM. 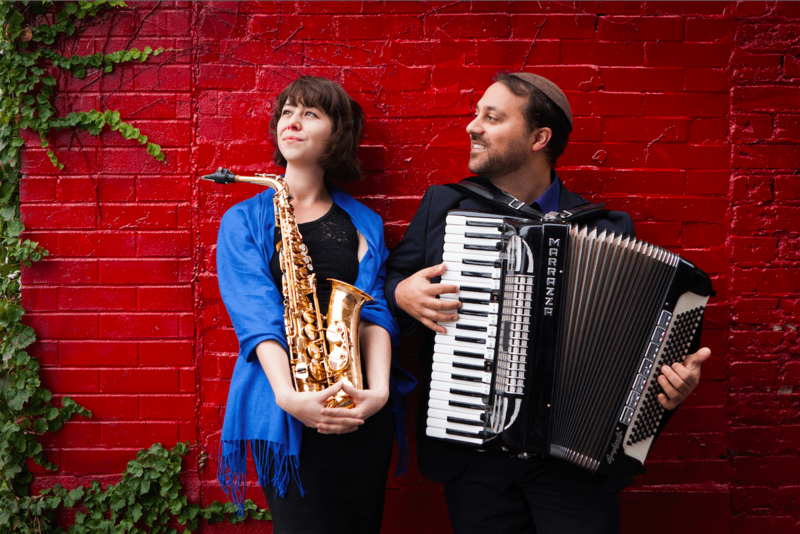 Special guests Ihtimanska will be joining us and accompanying your meal with their creative takes on Turkish and Bulgarian music (and maybe some klezmer too!). There is no entry fee for this event – the cost is that of your meal. This event is presented in partnership with KlezKanada and the Fondation Samy Elmaghribi. The brunch menu will include our salmon gravlax plate, za’atar breakfast sandwich, latkes, as well as our famous chocolate babka French toast! All earned revenue support our research (oral history collection, virtual exhibits), exhibitions, and cultural events, allowing us to fulfill our mandate to explore, share and create Montreal’s Jewish culture, art, and heritage.